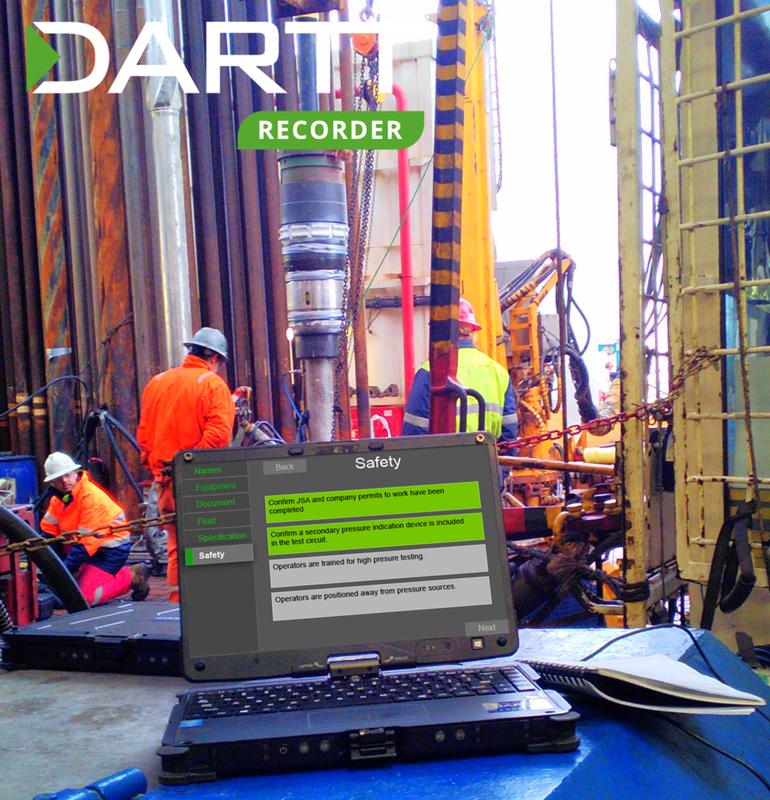 The built in safety features of the DARTT Recorder add an extra layer between a good day and a bad day. The pressure test specification workflow guides the operator through the test plan and ensures an understanding of the objective prior to starting. The Safety Hold Point includes critical mandatory checks prior to pressurisation. Visual indictaion of maximum pressure boundaries help keep the operator aware of the parameter. Over pressure warnings notify the operator of an over pressure situation. Contact DART Technologies for more information.